The official records consist of 3,600 documents mainly from the mid eighteenth to the mid-nineteenth centuries. 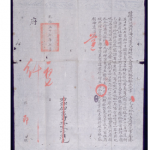 They are the official correspondence between the Chinese authorities in the Guangdong region of China and the Portuguese authorities in Macau, and are written in both Chinese characters and Portuguese. Some non-government records are also included in the collection. The port of Macau was the gateway to China and of strategic international importance for the development of EastWest trade and the exchange of ideas and knowledge between China and the rest of the world. 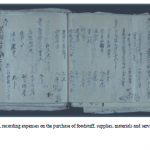 The records are evidence of this importance and the topics covered include, economic and trade issues, Christian missionary activity, shipping and diplomatic relations between Macau and Asian and European countries. The records also include activities within Macau such as urban development, industrial and agricultural growth and trade. They are a major original source for understanding the Qing dynasty’s policies during the period of Western colonial expansion in China. The collection was transferred to the care of the Senhora da Graça Convent in Lisbon, Portugal, in the late 19th century and then transferred to the National Archive of Torre do Tombo (Portuguese National Archives). It is likely that the collection was first transferred from Macau to Portugal by missionaries who recognised its importance and the need for more secure storage. 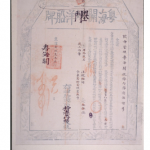 In 2015, a memorandum of understanding between Macau and Portugal was signed for the management of the records and includes agreement for collaboration on the conservation and digitization of the collection.